#ShutdownChase, World’s #1 Climate Change Banker! 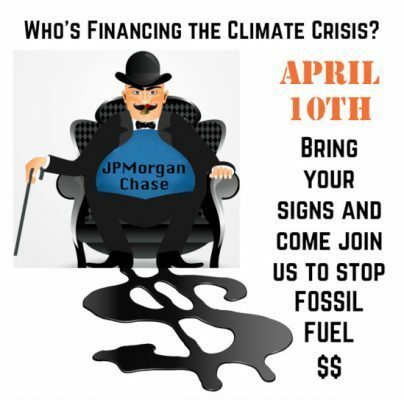 JPMorgan Chase is the #1 banker of fossil fuels, representing 29% of all global fossil fuel funding. JPMorgan Chase led all banks with a 68% expansion of its lending to fossil fuel projects in the last 3 years. JPMorgan Chase is the #1 banker of Arctic oil and gas, #1 banker of ultra-deep water oil and gas, #2 banker of fracking (just behind Wells Fargo), and #1 U.S. banker of tar sands. JPMorgan Chase is the only bank financing ALL FOUR key tar sands expansion companies. The big 6 U.S. banks, including JPMorgan Chase, Wells Fargo, Citi, and Bank of America, account for 37% of global fossil fuel financing. 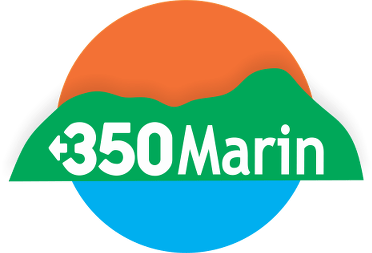 “Major financial institutions like Chase are increasingly being called out as linchpins that must be held accountable for their huge influence in propping up key sectors like fossil fuels, which a consensus of scientists agree are critical to determining the future livability of the planet,” said Laurel Sutherlin with Rainforest Action Network. Last October’s IPCC report stated categorically we have only 12 years to mobilize and cut fossil fuel emissions in half to avoid ramping climate disaster. Meanwhile, JPMorgan Chase has greatly increased its financing of extreme fossil fuels in recent years, especially to tar sands oil and coal mining. Bring your signs if you can – we’ll also have a few extra signs and small printed placards to hold and leaflets for you. Meet at Chase Bank in the Redhill Shopping Center, 894 Sir Francis Drake Blvd, San Anselmo, CA 94960. We’ll protest and leaflet at the Chase branch until 5pm, then march over to the San Anselmo Hub nearby and continue there until 6pm. You can see and distribute the event leaflet HERE, and RSVP below. We look forward to seeing you there!